Though images of swastikas and the thrust-out salutes are easily recognizable as symbols of the Nazis in World War II, little is known of the Nazi political foreign intelligence service—otherwise known as Office VI—until now. 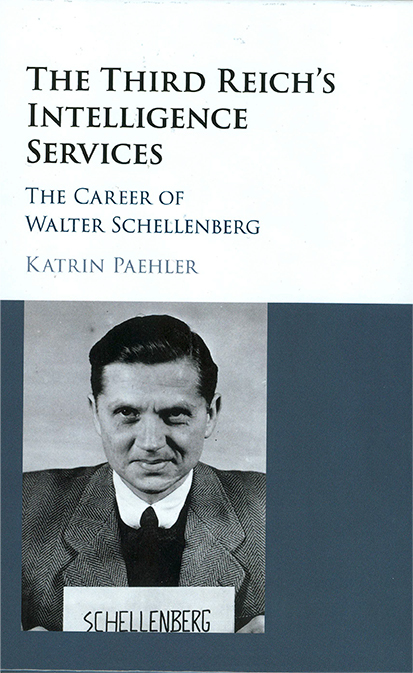 Illinois State University’s Associate Professor of History Katrin Paehler’s new book, The Third Reich’s Intelligence Service: The Career of Walter Schellenberg, is the first analytical look at this entity. She tells the story by recounting the rise of its head, Walter Schellenberg, and of the organization. Until Paehler’s book, few works looked at the operations of Office VI, also known as SD-Ausland or the foreign intelligence section of the SS. While many have explored the military side of intelligence from the Nazis, Office VI has been shrouded in mystery. 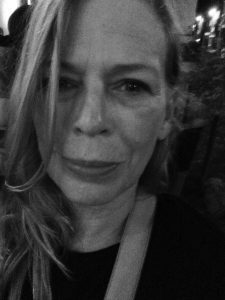 A release of documents in the 1990s by the Nazi War Crimes Interagency Working Group (IWG) at the National Archives in Washington, D.C., sparked new avenues of research for historians, including Paehler who was in her graduate days at the time. Through the years, she studied more and more declassified documents in Washington, Moscow, and across Germany. “There is a staggering amount of information,” said Paehler, who decided to use the rise of Walter Schellenberg as a way to explore Office VI and the question of ideology versus bureaucracy in Nazi Germany. Born in 1910, Schellenberg became an active figure among the “Nazi intellectuals,” who usually worked in Nazi security and intelligence. Paehler describes the Nazi intellectuals as “smart and scary—scary because they were so smart. They could turn a phrase, reimagine, and run a system.” These men, like Schellenberg, tended to use Nazi ideology when it could separate and elevate them from others. “Schellenberg was very good at playing both sides to find proper patrons and to navigate Nazi Germany.” His final patron was Heinrich Himmler, who was one of Hitler’s right-hand men. Office VI instead came to represent the infighting of the fracturing Nazi party. “Schellenberg and Himmler were smart and devious, and knew how to pull out the stops,” said Paehler. Under Schellenberg, Office VI expanded rapidly and engulfed its competitor, the military intelligence service, called the Abwehr by painting them as ideologically lacking. In answer to a question that has plagued historians for decades, Paehler discovered documented evidence in Moscow that Schellenberg and Himmler also attempted to take over the Foreign Ministry Office from Joachim Rippentrop. “Hitler sided with Rippentrop, and that was the signal for everyone else to pull back,” she said.